P. Batista received the Licenciatura and the PhD degrees in Electrical and Computer Engineering from Instituto Superior Técnico / Technical University of Lisbon (IST/UTL), in 2005 and 2010, respectively. 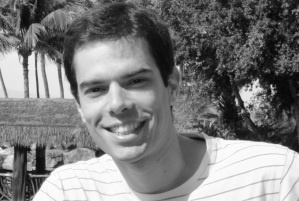 After a short post-doctoral fellowship at the Institute for Systems and Robotics – Lisbon / Instituto Superior Técnico (ISR/IST), he served there as Assistant Researcher from 2012 to 2015. During that time he was also Invited Assistant Professor at IST. Since 2016 he is Assistant Professor with Department of Electrical and Computer Engineering at IST. He is IEEE Senior Member and since 2016 he is also Associate Editor of the Conference Editorial Board of the IEEE Control Systems Society. P. Batista is actively involved in teaching and research activities, including student supervision and participation in national and international projects. His current research interests include nonlinear control, sensor-based control, and sensor-based estimation with application to control and navigation of autonomous vehicles. awarded by Instituto Superior Técnico, Lisbon, Portugal, May 2016.
awarded by Instituto Superior Técnico, Lisbon, Portugal, May 2015.
awarded by Universidade Técnica de Lisboa, Lisbon, Portugal, May 2011.
awarded by the Portuguese Society of Robotics, Lisbon, Portugal, April 2011.
awarded by the American Institute of Aeronautics and Astronautics, Chicago, USA, August 2009. 2009 American Control Conference, St. Louis, USA, June 2009. Instituto Superior Técnico, Universidade Técnica de Lisboa, Lisbon, Portugal, June 2005. Instituto Superior Técnico, Universidade Técnica de Lisboa, Lisbon, Portugal, October 2002.